Latin America’s tech-savvy workforce has attracted international companies to maintain support offices in the region for years. However, the recent government commitment to develop innovation hubs, coupled with a growing middle class that lead in the adoption of mobile devices, has made Latin America prime territory for global tech companies to target local consumers. More and more foreign tech companies are entering the region with confidence, tapping into the numerous industries that remain largely underserved by technology. From Amazon to Alibaba, here’s a look at how Latin America is drawing in some of the world’s biggest tech companies. Amazon has been expanding its operations globally for years – most notably its cloud computing operations and services. In Latin America, Amazon Web Services (AWS) recently set up a new data center in Argentina, adding to its list of existing offices in Brazil, Chile, Colombia, and Mexico. 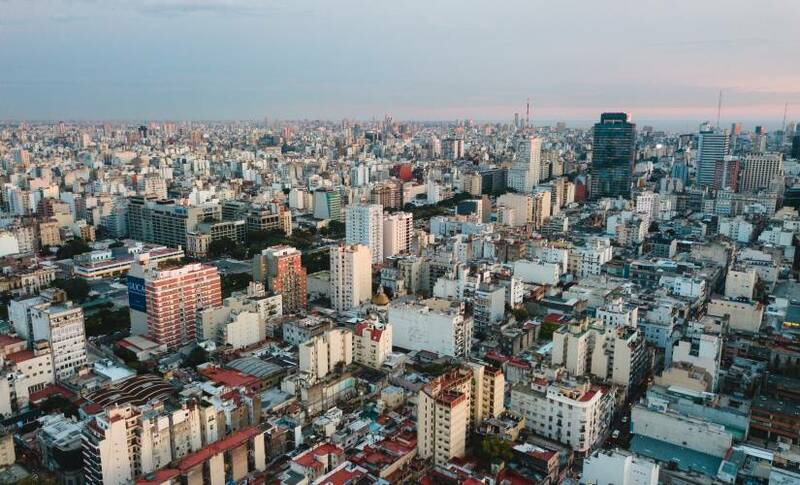 The addition of an AWS center in Argentina signifies just how important Amazon’s cloud computing services have become for tech companies in the region, and that the demand for these services is growing. Having a data center nearby helps companies reduce costs and improve data speeds, eliminating the need to rely on services outside of their country or region. Not to mention, Argentina is home to one of Latin America’s largest and most successful tech companies, MercadoLibre, which uses AWS. With operations in 16 countries and over 3,200 employees, 800 of which work in the IT division, MercadoLibre uses several AWS products to develop its real-time solutions quickly and easily. With a recent spike in investor interest in Latin America from global venture capital firms, such as Sequoia Capital and Softbank, there is an increasing demand from growing tech companies for more support services like AWS. According to a Gartner report, the global market for public cloud services is expected to increase by 21.4% in 2018 and generate revenues of $186.4 billion. Amazon’s expansion in Latin America is likely a strategic move to capitalize on this market opportunity as well as to stay ahead of its competitors Google and Alibaba in the worldwide cloud services space. Brazil is one of the top three countries in daily active users for Google, and Portuguese is the second most popular language for Assistant usage on smartphones. What’s more, São Paulo is home to more than 2,700 active tech companies and has been cited as the most mature startup ecosystem in South America. Therefore, it makes sense that the city is one of the latest additions to Google’s network of Launchpad Accelerators and Campus spaces. In addition to mentoring and training local entrepreneurs, Google recently launched a community program called Grow with Google which offers free training sessions, tools, and events to help anyone grow their skills, career, or business. With a presence in four cities in Brazil, the program has already trained more than 17,000 people. The tech giant continues to launch new initiatives in Brazil all of the time. For instance, Womenwill is another Google program that has helped train more than 2,500 women in leadership, negotiation tactics, personal finance, and digital marketing. Google also announced a grant of $1 million to support the local nonprofit Instituto Rede Mulher Empreendedora with training up to 135,000 women in Brazil over the next two years. Almost half of Latin Americans that go online to buy something visit MercadoLibre.com. The “eBay of Latin America” is the largest e-commerce marketplace in the region, with more than 174.2 million users in 15 countries. While it has operated for years with few outside threats, there are still significant opportunities for more niche e-commerce sites and other global e-commerce giants to make a profit in this space. Over the years, global heavyweights like Amazon and Alibaba have remained distant; however, this is now starting to change. Alibaba has made a number of moves that signify its interest in the Latin American e-commerce space. The company not only signed three memorandums of understanding with governments in Latin America but also established partnerships with local postal services. Alibaba also launched various programs to help make cross-border transactions and trade easier in countries such as Mexico and Argentina. Amazon is also strengthening its position in the region, launching a number of services in Brazil. Another e-commerce giant gaining a strong position in Mexico and throughout Central America is Walmart. Latin America’s e-commerce market is forecast to grow 18% annually over the next five years, yet it still only represents 2% of the world’s retail market, meaning there are still considerable gaps in the market to fill, and plenty of e-commerce companies up for the challenge. From services for small business owners to greater retail options, many industries in Latin America remain underserved by technology, and Amazon, Google, and Alibaba certainly aren’t the only ones that have taken note. For instance, Latin America is currently a top growth market for Spotify and Netflix as well. Mexico and Brazil are top markets for Facebook Messenger, Instagram, and WhatsApp in terms of monthly users. In fact, almost 100% of connected Brazilians use WhatsApp. The global ride-hailing leader, Uber, has also noted that its top three cities by volume are all in Latin America. As more and more substantial tech companies enter the region, not only are they bringing with them innovative solutions and hiring local tech talent, but they are also inspiring the latest generation of entrepreneurs and forming beneficial partnerships in Latin America, bringing a new wave of energy and excitement about the region’s potential.